Pocket Change Vending is a Georgia-based, family-run business serving the south Georgia and north Florida area. We specialize in placement, service, sales and repair of soda, snack and coffee machines. We are also a full service coffee, tea and office supply company. We can ensure your employees have all they need to give them the energy necessary to do their jobs. From the morning Cup of Joe to the afternoon snack to get over the mid-day hump; we have got you covered! In the vending business since 1990, we offer over 20 years of experience servicing accounts of all sizes. 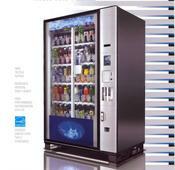 Our professional staff can help you analyze your needs and set up the perfect vending service for your company. Our patented formula factors in your number of employees, hours of operation and location to create a personalized vending plan. Give us a call at 229-672-0609 or send us an email.